PICK 1 or Select 2 or 3 as a set- specify additional scent choice(s) in notes to seller or via pm. 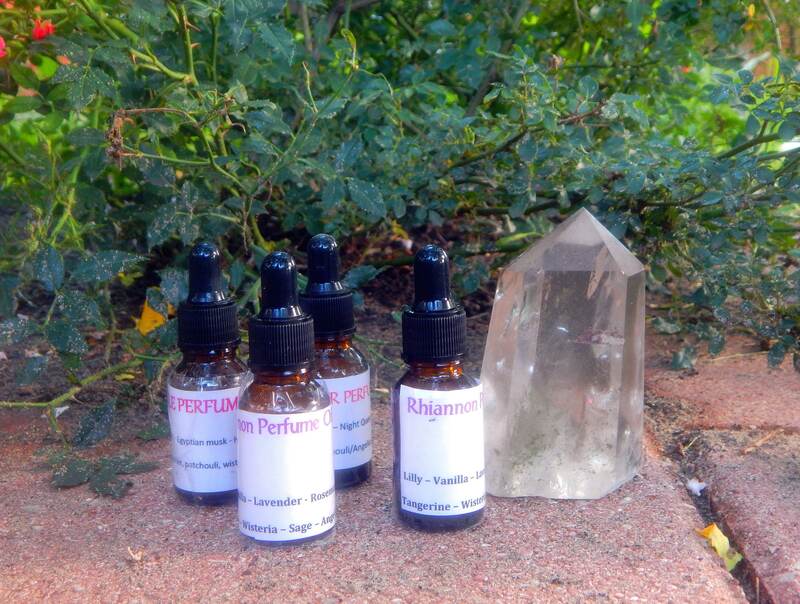 Travel set consists of one 1/2 oz vial and one roll-on vial pre-filled with your chosen scent. Nag Champa -- A natural, earthy fragrance which is calming and can produce a peaceful, meditative state. This scent is popular in India, crafted of frangipani (plumeria) flower and sandalwood oils. Includes golden topaz stone chips for optimism and clarity. 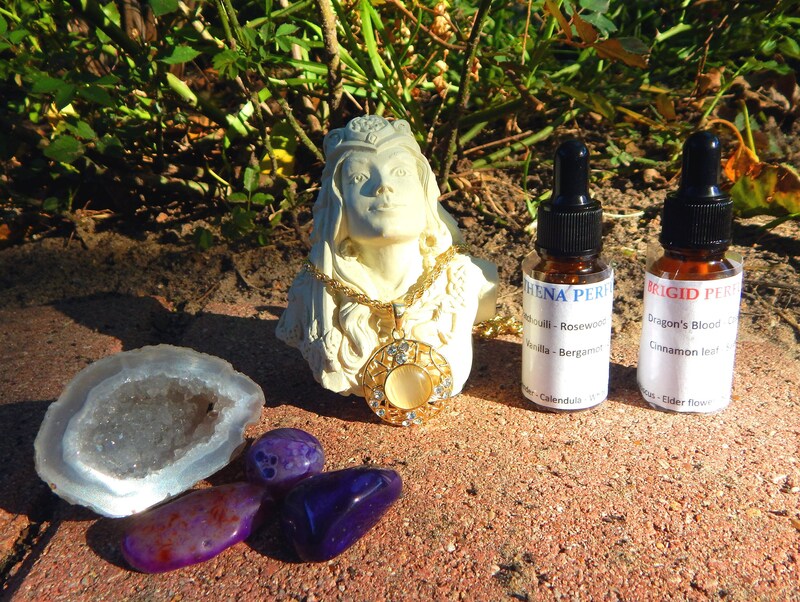 Patchouli -- A traditional Patchouli blend for every bohemian Goddess and Earth child alike. 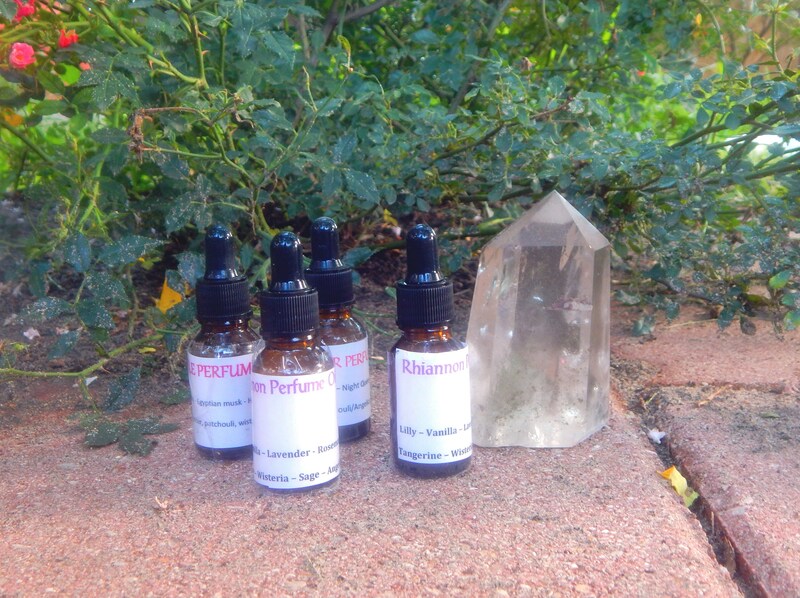 This perfume includes genuine patchouli leaf as well as a blend of traditional pure patchouli essential oils. Includes Red Aventurine chips for manifestation and vitality. Valkyrie** limited edition -- A powerful blend of Palmarosa, Rosewood, and juicy Apple with unexpected hints of Rosemary, white Sandalwood and a splash of frankincense pure essential oils. Valkyrie is a scent created for and inspired by a very special friend and soul sister. 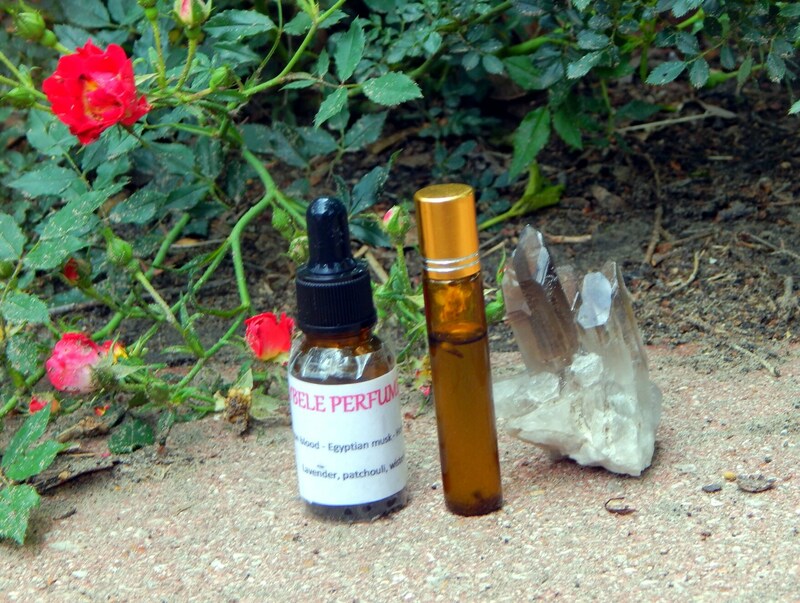 This perfume honors the warrior spirit and healing touch in all women. Valkyrie is an Airy, alluring scent with fresh floral and seductive fruit notes, unlike any other. Includes moonstone and genuine turquoise chips. Faerie Queen** Limited edition -- A beautiful fresh and floral blend which exudes the allure of the Fae. This perfume features sultry notes of vanilla, night queen and Teak wood, accented by an enchanting bouquet of honeysuckle, Lilly and Rose. Includes Amethyst chips for intuition and spiritual power. Siren** Limited edition -- A seductive perfume featuring Rainflower, white Sandalwood and tropical Manderin Orange with notes of Lavender, Sage and Honeysucle, along with a hint of Water Lilly. A perfume fit for any Siren, reminiscent of a lush tropical beach. Includes Lapis Lazuli and Moonstone chips for communication, intuition and feminine allure. This Nag champa smells great! nice size bottle.